iPad Pro 9.7 inch Retina Display, 2048 x 1536 Resolution, Wide Color and True Tone Display. 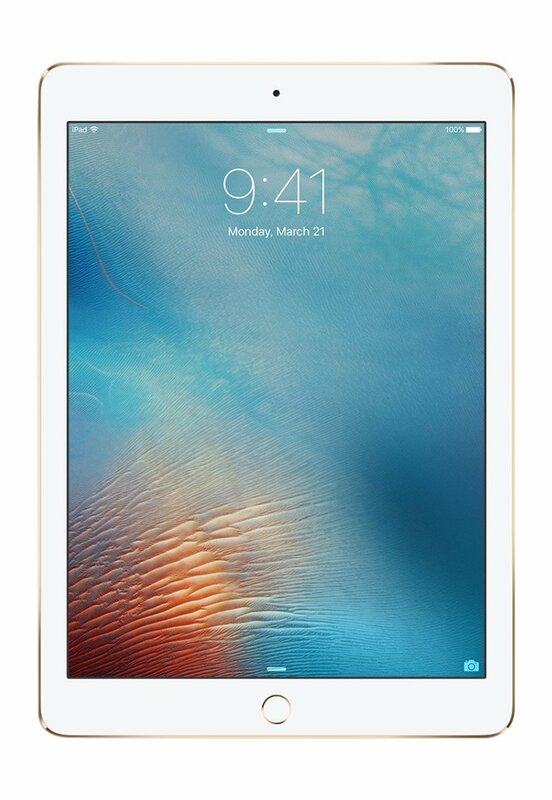 iPad Pro 9.7 inch comes with Apple iOS 9, A9X chip with 64bit architecture, M9 coprocessor. 12 MP iSight Camera, True Tone Flash, Panorama (up to 63MP), Four-Speaker Audio. iPad Pro Supports Apple Smart Keyboard and Apple Pencil. Up to 10 Hours of Battery Life.